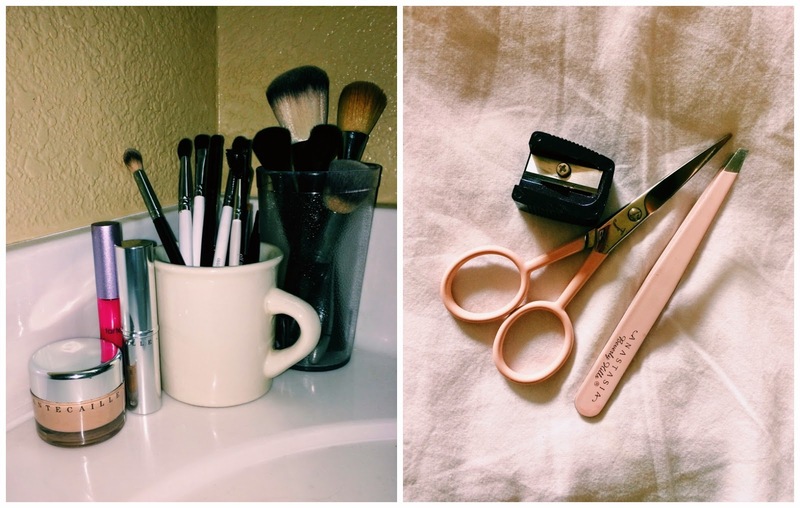 Some of my favorite makeup brushes to travel with. While cleaning my brushes in our hotel room i figured i'd share with you some of my favorite synthetic brushes to travel with, including extras! I've mentioned this brush about 1000x before, and with good reason! 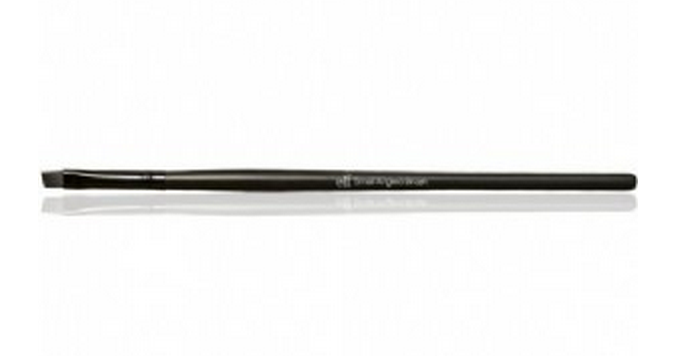 The it Cosmetics dual airbrush foundation concealer brush is an excellent multi-tasker. The smaller end works perfectly for concealing/correcting under eyes, contouring the nose, spot correcting and even eyeshadow at a pinch. The larger end is perfect for primer, foundation, contouring and even cream blush. Another staple is an angled liner brush, perfect for drawing in and carving out brows, eyeliner and i've even used it to apply lip tars before and got a really crisp application. I rarely spend a lot on liner brushes and my favorite is the ELF small angled brush but if you prefer something shorter and stiffer, the Anastasia angled cut brush is great. For general eye brushes i tend to go with OCC and three of my favorites are their small shader brush, large shader brush and tapered blending brush. The shaders are great for packing on color in different sized areas and the blending brush is a little smaller so great to precisely deepen your crease or smoke out your lower lash line. Back to good multi-tasking brushes, heres one i use for contour, highlighting, blush and setting my under-eye concealer. 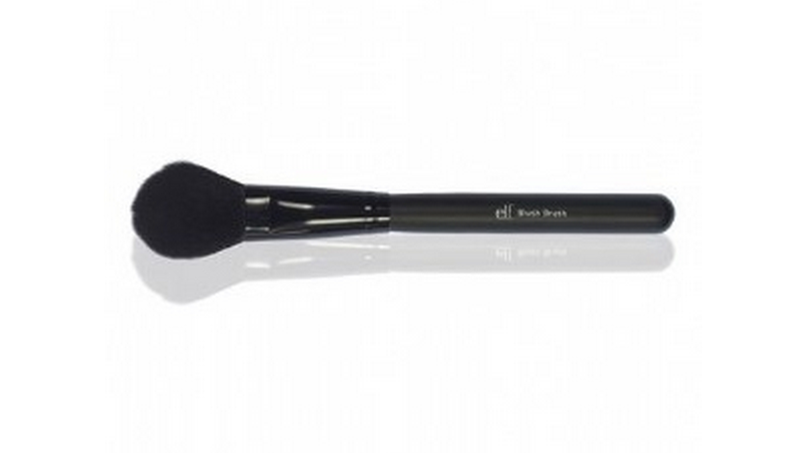 I present to you the ELF blush brush. Use its thin side to carve out a sharp contour then twist 90 degrees to buff it out or add blush. Used flat its perfect for setting the under-eye area because its actually a lot more pointed at the end than it looks in the picture. Lastly for brushes i like to bring a brush good for setting the entire face with powder or bronzing and for that i like the Hourglass powder brush. Its big enough to make easy work of setting your face but small enough for fairly precise bronzing. There are a few little extras i like to take with me (mostly for brow grooming) and those are Anastasia Beverly Hills scissors and tweezers, any old sharpener for liners and an ELF lash and brow wand. What are your favorite brushes to travel with? Leave them in a comment below.